Since having a baby both my wife and I feel like we don’t get the quality of sleep we once used to — go figure. Wonder if the Zeo Personal Sleep Coach can fix that. Here’s how the Zeo works… you wear the the headband to sleep, the headband sends the data wirelessly to the display unit. Then you can monitor your sleep patterns on the unit or for further analysis you can transfer the data via SD card to your computer and using the software provided you can look at graphs and history in greater detail. 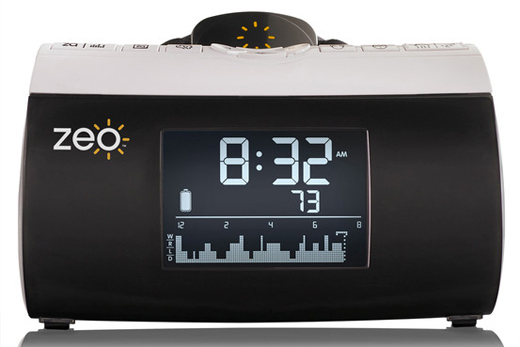 Zeo Personal Sleep Coach costs $399 which includes the headband with SoftWave™ sensor pad and the Zeo bedside display w/SmartWake. The package also includes 6-months of sleep coaching. You can order it at Zeo’s website and has a 30-day money-back guarantee.